#TeamBlackBerry doesn't like texting. We prefer BBM plain and simple. We harass our friends on Android and iOS for their lack of BBM and what a pain it is to text them. On a BlackBerry, sending a text message is a tad time consuming. You have to open the messages or SMS folder, click compose and then select the contact, and then the phone number you wish to text (if there is more than one number listed for that contact). 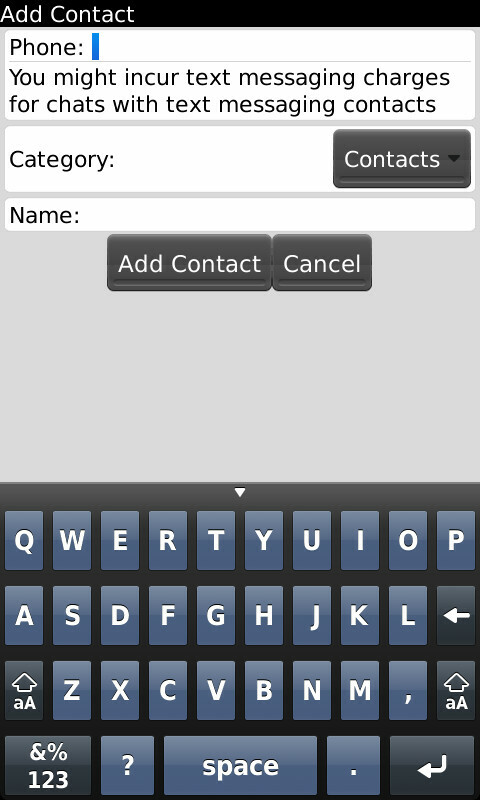 In the recent releases of BBM you have been able to add text message contacts into BBM. 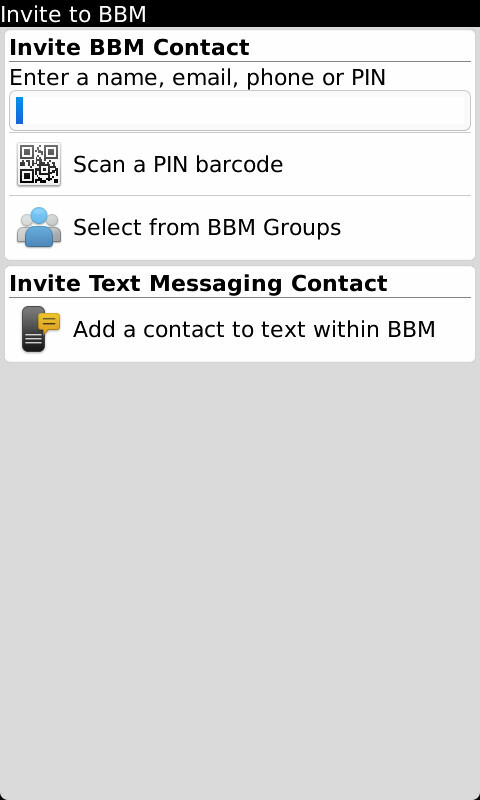 Unfortunately it doesn't offer any of the perks of BBM, but it does put your SMS contacts inside BBM for quick access. Open BBM, press the menu button and select options. Scroll down to the bottom under miscellaneous and check the box marked show text messaging from contacts linked with BlackBerry contacts. Now press the escape arrow (back key) and select save when promoted. Now press the menu button and select add contact (or click the + on touchscreen devices). Then down at the bottom click invite text messaging contact. In the number field you can enter the phone number , or start typing the contacts name (if they are already in your address book). If you manually entered a phone number, add a name (and category if applicable). If you chose a contact from it address book, simply select the phone number you wish to text to. Now click add contact. That's it! Your text messaging contact. will now appear in BBM. Please note that your text messages will still appear in your messages/SMS folder aswell.